The Hershey Company struck gold with what has to be one of the most cost-effective campaigns ever. The classic peanut butter cups you see on-screen were created digitally — and since then, Reese’s Pieces, Reese’s Eggs and all the other variations of Reese’s products are also digital creations. 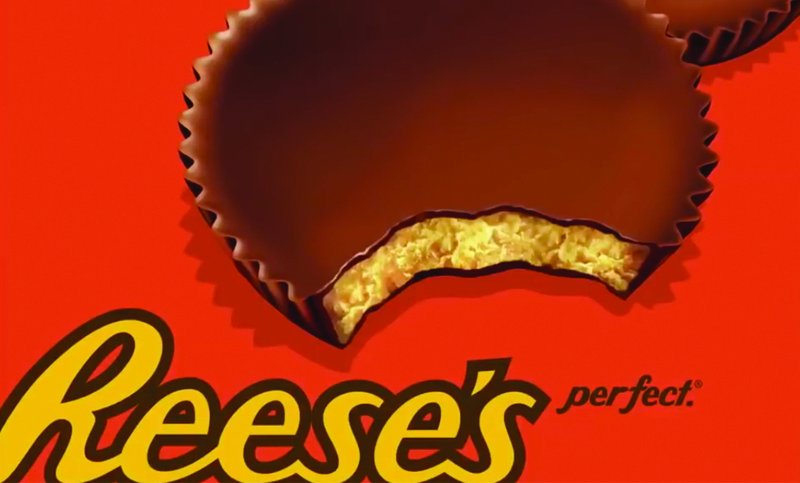 The animator can simply move these assets around on-screen over simple orange backgrounds, sprinkle in small doses of yellow type and close the spot with an iconic Reese’s logo. These commercials are produced inexpensively and quickly, allowing Hershey to pour the vast majority of their Reese’s marketing dollars into the media buy. I know you’ve seen multiple versions of these spots—and every time you see them you know it’s Reese’s in the first three seconds it’s on screen. Perfect.